The 27th annual Houston Press Music Awards is once again celebrating the city’s local thriving music scene. 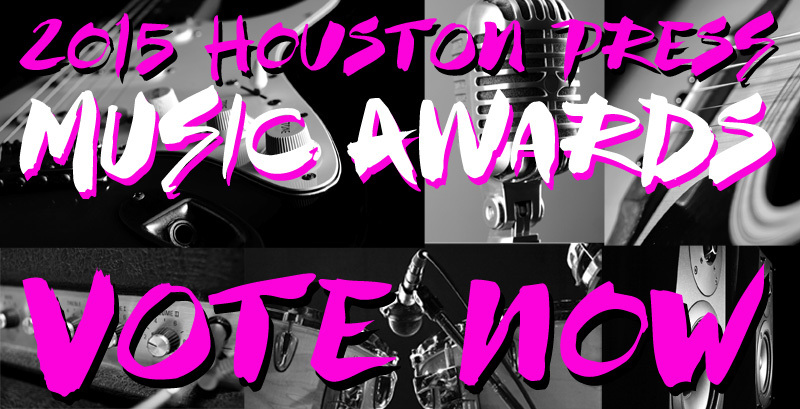 Over 100 bands have been nominated to receive a Houston Press Music Award, representing the various different genres and talent our city has to offer. Voting is currently taking place until August 12th. The winners of the showcase will be announced at the 2015 Music Awards Ceremony at Warehouse Live on Thursday, August 20th. Thank you for your participation and may the best bands win! RULES: Select one band per category. Only one ballot per voter. All voting ends on August 12th at 11:59pm.